Prepared for Google's real time Penguin update? 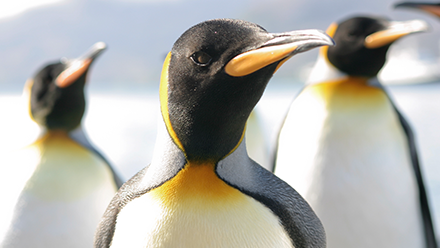 Are you prepared for Google’s real time Penguin update? Are you prepared for Google’s real time algorithm update? Following months of speculation, Google’s Gary Illyes confirmed that the latest Penguin update was coming soon and would be real time update at last month’s SMX East. Since then Google’s Matt Cutts has announced that the update is likely to be released in the next two months. What does the Google Penguin update mean? The latest update means that the Penguin algorithm will be updating in real time when it discovers newly built or removed links, this means that sites will have the opportunity to recover from penalties much quicker, but on the other side can be penalised just as quick. For anyone who has had a website that has received a penalty under the Penguin update, will understand the painful and long process of cleaning up the and removing the unwanted links, in some cases it has taken up to 12 months for the penalty to be removed. The new Penguin update will mean that as soon as Google has crawled and identified links that have been removed, the penalty could be lifted straight away resulting in a faster recovery. The biggest sign that your website has been hit by a Google penalty is you’ll notice a sudden and often significant drop in organic search traffic to your site combined with a loss in rankings for key search terms. A drop in rankings for your brand name may also be present. Most famously hit was Interflora who disappeared from search results for their brand name following a Google penalty. Even the most well maintained sites may have questionable links in their backlink profile, and may unintentionally include ‘spammy’ link building activity, this could leave sites open to receiving a penalty. Conduct a thorough review of your backlink profile and remove all ‘bad’ links. Submit a disavow file for the remaining links. Consider your remaining links, are they of a high enough quality or do you need to build some higher quality links to your site or certain sections. Monitor your backlink profile closely to identify new links quickly and act promptly if needed. Schedule regular reviews to ensure you remain penalty free. If you are concerned that your site may be affected by the Penguin update, get in touch with us on 01527 517309 or fill in our contact form.